Here is a cute fathers day card that any dad would be glad to receive. Glue the belt piece to the three-rectangle piece. Take this assembled piece and fold on the solid lines. Glue the tools to the pocket pieces. Glue the pockets to the large assembled piece. 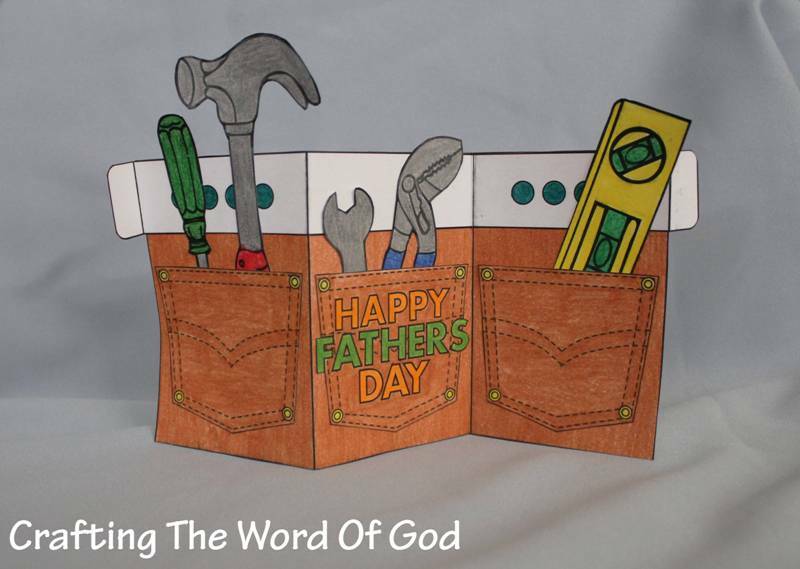 This entry was posted in Fathers Day, Holiday Crafts and tagged card, children, craft, crafts, dad, daddy, father, fathers, fathers day, fathers day card, holiday, print out, printable, tool belt, Tool Belt Fathers Day Card, tools.